So, the cliché of the white man tossing and turning on perspiration soaked sheets whilst the local drums pound, more or less characterizes my last few attempts at sleep. The trip to Scotland seems to have permanently altered my sleep patterns. Normally you sleep at night and stay awake during the day. I stay awake at night and stumble around in a stupor all day. 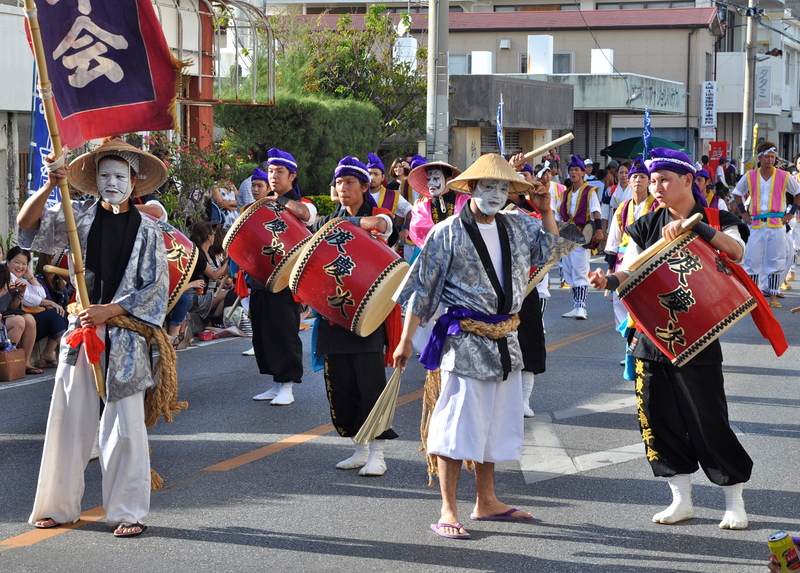 It is also Obon http://en.wikipedia.org/wiki/Bon_Festival which means there are ancestors climbing out of the sea and whizzing through my bedroom. 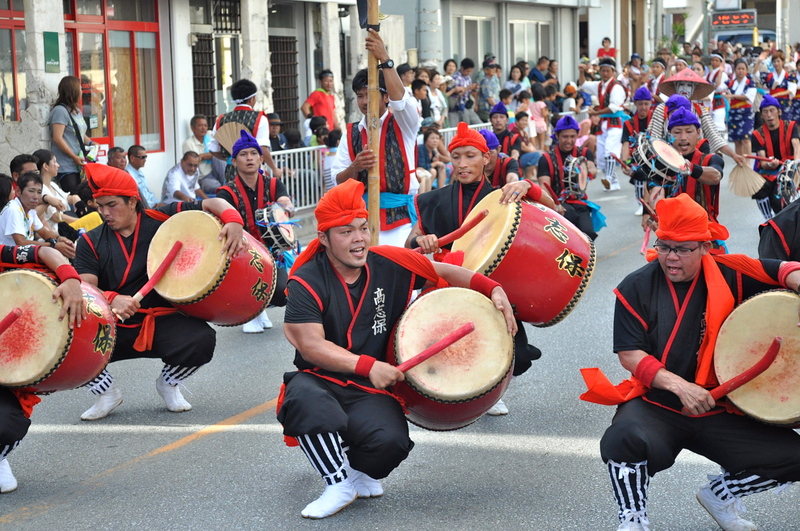 Obon on Okinawa is celebrated by Eisa dancing and the groups practice for days before and during the festival meaning that the night throbs with drumming. Wherever you go you find Eisa groups dancing and singing. 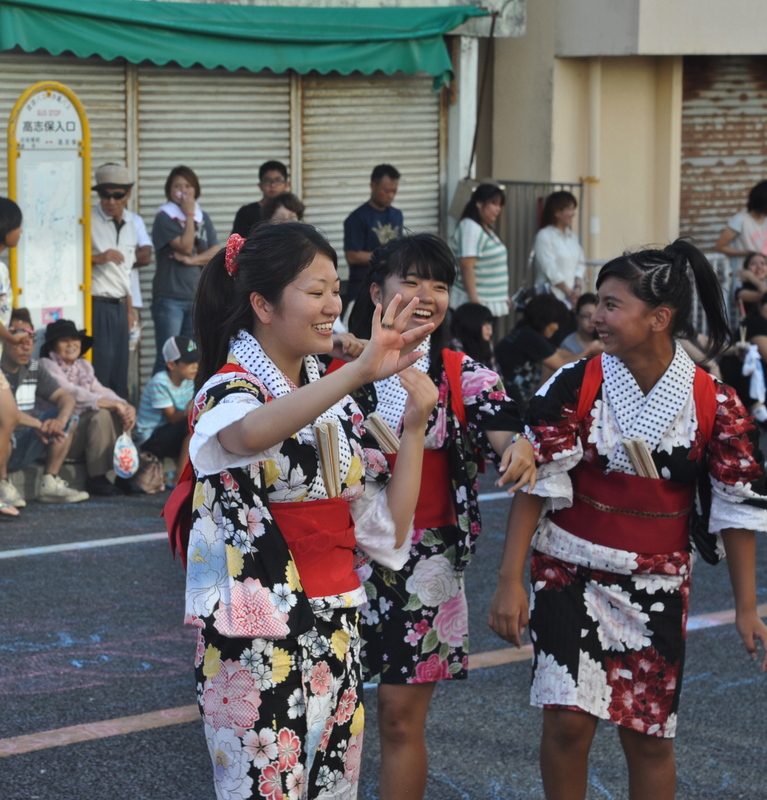 These are not professionals, just Okinawans having fun. Today there was a bunch of outside the shop where you can buy Springbank. It is 5:00 in the afternoon, the heat is 32 degrees and summer’s here and the time is right for dancing in the streets. 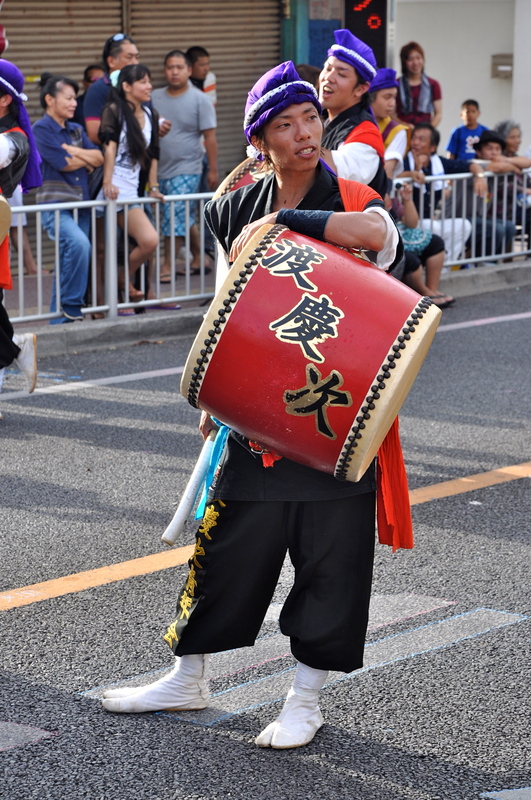 This entry was posted in Uncategorized and tagged Eisa, Martha and the Vandellas, Obon, sweat. Bookmark the permalink.